There is only one thing we can say about the album: this is our NEW MUSIC. We can confess with relief that it is for the first time in our recording history that we do not feel the need to add anything else. Our 10th album. 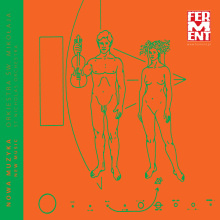 This CD, as well as another one with a selection of our songs from 1994-2004, were attached to the issue of Ferment (Polish music journal) devoted to the St Nicholas Orchestra.